Yay! We get to watch CIN vs TEN here in Hawaii. Very worried about Griffen vs. Ty Nsekhe. Last year, Trent Williams was hurt and I was licking my chops at the potential matchup. Griffen was then blanketed by Nsekhe all game long. This guy is an absolute stud. I wanted us to sign him as our RT. Would rather go up against Clemmings. I'm worried about this game. We need a win here badly. Don't have a good feeling about this game either. Vikings D doesn't seem as impressive when playing on grass. I think Case is the key. He has to have a good game for the Vikings to win. Score early, protect Case, tackle well, don't give up the big play and the Vikings could squeak a win in DC. Big game. Hope the team shows up. This game scares me. Seems like we always have a tough time with Washington. And the Eagles for that matter. Maybe its one of the reasons I hate these teams so much. That and their fans. 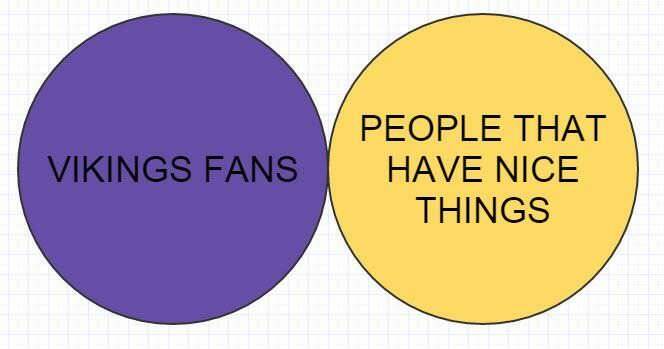 Ive been to both stadiums and they dont seem to care for Vikings fans either. Playing this kind of game on the road also scares me. And the QB situation is going to be hard for Zimmer to figure out. I personally have said, and still think, Teddy should start ASAP. He isnt a rookie, he's an NFL pro. Yes, Case can win the easier games, along with our D, but if he plays like he did the first half of last week, we are toast. Either way, Im sure its a hard choice for Zimmer to make. Winning 10 games is a must I think, if we want a shot at the playoffs. Looks like this game has become the primary game on Sunday. 808vikingsfan wrote: Yay! We get to watch CIN vs TEN here in Hawaii. I've been very up and down about this game. They have no running game especially on early downs. Our DBs will be put to the test. Case has to show up though and he needs to play better than he has the last few games. Washingtons defense is very underrated. Holding out hope Griffen can play. Trent Williams is not participating at #Redskins practice today. Was also out yesterday as well. dead_poet wrote: Holding out hope Griffen can play. 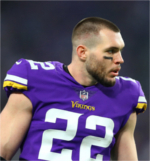 What the hell happened to Griffen? PurpleMustReign wrote: What the hell happened to Griffen? Last play in London, he went down and was holding his ankle. Expected to play though. Not a bad replacement. Hopefully Griffen is ok though.